ANC stalwart Albertina Sisulu has been moved out of her home in Linden, Johannesburg, after a sinkhole developed outside her property. Officials told the media that the massive hole started appearing on Thursday, but was worsened by last night’s storm. Ma Albertina’s grandson Shaka Sisilu says the family members who stay with her in the house have also moved out as a precaution. A team from the Johannesburg Road Agency is working on the problem. Protesting Cosatu members threatened to break through a barrier at Sun City today when they were not allowed entry to the premises. Media report that around a thousand trade union federation members marched to protest against an alleged racial insult in which former President Nelson Mandela was insulted. Cosatu’s Solly Phetoe says they want Sun City to terminate its contract with Falcon, the security company whose employee allegedly played a CD referring to Mandela by the k-word. “Those who are implicated in insulting our leader in that racist attitude must remain behind bars,” concludes Phetoe. African National Congress Youth League president Julius Malema has for the first time praised former president Thabo Mbeki as a hero of the party whose struggle credentials could never be erased. It has been reported that Malema has in the past been very critical of Mbeki, even accusing him of leading a political conspiracy against President Jacob Zuma. But addressing physically challenged young people in Mthatha, Malema even likened Mbeki to such stalwarts as former president Nelson Mandela, Oliver Tambo, Walter Sisulu and Albert Luthuli. Deputy President Kgalema Motlanthe is visiting 2010 Legacy Projects around Johannesburg today. His tour will end in his attendance of the Soweto derby between Kaizer Chiefs and Orlando Pirates at Orlando Stadium. Concerns have been expressed over the state of the pitch, following heavy rain in Gauteng. Pirates are currently fifth on the premiership log, two points ahead of Chiefs, who are in seventh position. Meanwhile in Pretoria, Blue Bulls fans are painting the city light blue as excitement builds for this afternoon’s Currie Cup final against the Free State Cheetahs. The body of alleged Khayelitsha man has been discovered in Monwabisi beach. The man went missing on Thursday while swimming. His body was recovered by National Sea Rescue Institute and Police Dive Unit last night. “We suspect that it is the body of Ndingoye Mbimbi, 27 year old from Khayelitsha. He went missing in a swimming accident and presumed to have drowned,” said NSRI spokesperson Craig Limbinon. He also said that the deceased family has been notified and ask to come to identify the body. “The formal identification will be done this afternoon with the police,” said Limbinon. South Africa faces a super sporting weekend with the Currie Cup final being played in Pretoria and Orlando Pirates and Kaizer Chiefs clashing at Orlando Stadium. Tickets for both matches are completely sold out. The Blue Bulls are reportedly the hot favourites to take the Currie Cup. Featuring match winners like Morné Steyn, Fourie du Preez, Victor Matfield, Bakkies Botha and Bryan Habana, many world teams would be quacking in their boots to have the Bulls as opponents. But, if any team can upset a game plan, it is the Free State Cheetahs - as the Sharks learnt in the semi-finals. Kick-off is at half-past-five. In Soweto, Pirates will be under enormous pressure in the Soweto derby against Chiefs. Pirates have lost three successive matches against Santos, Supersport United and Amazulu. Bucs at one stage led the Premier League, but have now moved to the 5th spot on the table. Pirates will be without Benson Mhlongo who broke a knee and will be out for most of the season. The match kicks off at a quarter-past-three. The Congress of South African Trade Unions says recent service delivery protests are in part a response to the levels of inequality in society. Cosatu’s Patrick Craven says elsewhere in Africa there is far greater poverty, but not the same amount of social unrest. This is because in South Africa, poor communities live in an entirely different world from luxury suburbs next door. Craven says the situation is made worse when people’s own local representatives adopt a capitalist lifestyle. Spokesperson for the Department of Basic Education Granville Whittle says the first week of matric examinations proceeded smoothly in all nine provinces. This week saw almost 600-thousand matriculants writing their first National Senior Certificate exams. Meanwhile Further Education Training Colleges and Adult Basic Education and Training facilities also started theirs. Whittle said while 29 irregularities were reported across all three sectors, most had been of an administrative nature like candidates not registered to write. Where learners could not attend school because of the weather, they would be given another chance to write the exams they miss. Spokesperson for the department Grenville Whittle said while 29 irregularities were reported across all three sectors, most had been of an administrative nature like candidates not registered to write. The Nelson Mandela Foundation has hit out against supposition around former President Nelson Mandela’s health, saying that he is well. Chairperson of the foundation Professor JG Gerwell was quoted in the media as saying Madiba needed to rest. “The fact is that Mr Mandela is as well as anyone can expect of someone who is 91-years-old and who has lived an active and demanding life as he has,” he said. “He obviously needs to rest more than he has in the past, and indeed to do the things that he enjoys in his well deserved retirement,” Gerwell added. He said that the former president had recently decided to cut back his engagements even further to spend more time with his family. The Western Cape government has expressed grave concern over the deteriorating state and problems with access to Robben Island. At its first meeting today, the Premier’s Metropolitan Co-ordination Forum said conditions on the island, which is under the jurisdiction of the National Department of Arts and Culture, were rapidly deteriorating. The meeting noted that if the poor management of Robben Island is allowed to continue, thousand of visitors to the City will be hugely disappointed when they arrive for the World Cup next year. As it is, the island is in danger of losing its status as a World Heritage Site. The City says the construction of Granger Bay Boulevard is well underway. Traffic on Western Boulevard in the direction of Sea Point is being diverted past the construction site on a temporary road passing between the new circle and Main Road. City centre bound traffic is using the partly completed new elevated traffic circle. Access to the sports fields and to McDonalds is off the new circle. In the next phase of construction, Sea Point bound traffic will also be diverted onto the new traffic circle. The Department of Energy had good news for motorists today when it announced that the price of petrol will remain unchanged next month. In an interview with the station, Bheki Khumalo departmental spokesperson says the reason for this was the strength of the crude oil price. “The price of petrol all grades will not increase this month, this is because the international crude oil price started strengthening towards the latter part of the month and there was a lot of over recovery,” Khumalo said. However, diesel prices will increase between eight and 10 cents a litre. Wholesale paraffin increases by 14 cents and illuminating paraffin by 19 cents per litre. “But nevertheless I think we are monitoring these prices going forward and we will see how they turn out,” Khumalo added. The Department says that during the period under review, the average international product prices of petrol, diesel and illuminating paraffin had increased. Departing public protector Lawrence Mushwana has received a golden handshake of nearly seven million rands, raising a storm about whether he is entitled to it. According to reports Mushwana is also suspected of taking punitive action against the chief executive of the public protector's office Themba Mthethwa, for questioning the payout. Mushwana suspended Mthethwa and the contested payout was deposited into Mushwana's account 48 hours later, the newspaper said. Dina Rodrigues’s bid to have her life sentence reduced for murdering baby Jordan Leigh Norton, has been dismissed by two Cape High Court Judges. Her two accomplices also failed in their court bid. Six month old baby Jordan was stabbed to death in her home in Lansdowne in 2005. The judges ruled that the life sentence imposed on Rodrigues was justified and that the motive for the killing could evoke little mercy. In a dissenting judgement, a third judge proposed that the life sentence be substituted with one of 26 years in prison but the majority decision was upheld. Rodrigues, along with her accomplices, Sipho Mfazwe and Mongezi Bobotyane, are serving life terms in prison for the murder while two other hitmen, were sentenced to 15 years behind bars. Six people were arrested in Gugulethu for public violence yesterday following a standoff with police. Residents were protesting against the opening of Gugulethu Square. Residents and members of the Anti-Eviction Campaign are opposing the malls employment policy.They say they want at least 80% of mall employment to come from the community. Police fired rubber bullets to disperse a group of about 50 residents who emptied waste bins and stoned police during an illegal strike. One person was also shot in the head with a rubber bullet. African National Congress Youth League leader Julius Malema has come out in full support of University of the Free State rector Jonathan Jansen. The rector has come under widespread criticism for offering a pardon to the so-called Reitz Four. But after a meeting with Jansen yesterday, Malema said Jansen could not be fed to the enemy. The Youth League leader insists that if the students involved in the incident return to the university, they had to apologise and show remorse. Meanwhile earlier yesterday, Cape Town’s Anglican Archbishop Thabo Makgoba released a statement about the matter. Makgoba said Jansen’s decision to withdraw the university’s charges against the students demonstrated that brave and bold steps were unavoidable if deplorable events were to be resolved through a restorative justice approach. Makgoba says for restorative justice to work, proper apology must be made, and remorse shown, where these are due. The City of Cape Town has extended its deadline to members of the public who want to take advantage of the rates rebate. The rebate is offered to registered homeowners with a total household income of R8 000 a month or less; aged 60 years or older; or if they are beneficiaries of a disability pension or grant. In a media statement, Alderman Ian Neilson, Deputy Executive Mayor and Mayoral Committee Member for Finance, said more than 19 000 people who met these requirements successfully registered for this relief last year but, although the same number had registered this year, he felt that there were other potential recipients that the Municipality would like to help, but who had not yet registered. To maximise the benefits of this policy, the City has therefore extended the deadline for applications from 31 October until 30 November 2009. Cheslin Williams, the former boyfriend of Idols winner Karin Kortje, has been jailed for life for the murder of Cape Town guesthouse owner Renate Kellerman. Williams was found guilty in the Bellville Regional Court two months ago of the 2006 murder. Magistrate JP Vermaak said the murder had been senseless. Kortje and Williams spent time at the Durbanville guesthouse before the murder. Four Cape Town employees of the South African Revenue Service were arrested at the Bellville tax office today on suspicion of fraud. The police’s André Traut says another two suspects were arrested in Belhar and Green Point. No further details were given, but all six are alleged to have been involved in the scam since 2005. Former police commissioner Jackie Selebi regards the judge in his corruption trial as biased, rude and hostile. Selebi’s lawyers are explaining their application for Judge Meyer Joffe to recuse himself. In papers before the South Gauteng High Court Selebi argues that Joffe had probably decided subconsciously even before the trial had started that he was guilty. His lawyers also accuse Joffe of bending over backwards to accommodate the prosecution. Legal experts say it is highly unlikely that Joffe will withdraw from the corruption and defeating the ends of justice trial. Selebi’s lawyers accused Joffe of being biased, rude and hostile. They also alleged that Joffe had unfairly favoured the prosecution. This led the judge to ask why his actions had not been formally challenged at the time so that he could have dealt with their objections. Joffe is not expected to announce his decision today. A 15 year old boy has been fatally stabbed in Illitha Park. Police were alerted to the scene early last night, where the body of the boy was discovered in an open field. The boy had been stabbed in his stomach and died on the scene. A tip off from the community later led to the arrest of a 15 year old suspect. The knife that was allegedly used in the killing was confiscated by the police. A murder docket has been opened for investigation. The suspect will appear in the Khayelitsha Magistrate Court on a charge of murder. The African National Congress in the Western Cape says Cape Town residents should refuse to pay for the city’s budget error on the Integrated Rapid Transit system. What was projected to be a one-point-three-billion-Rands price tag for the system last year has now, because of a massive miscalculation, mushroomed to a total cost of over four-billion-Rands. The ANC’s Kholeka Mqulwana says people should stand together to prevent the city from pumping up property taxes and other levies to make up for the inexcusable, skyrocketing shortfall. She has demanded a full investigation into the scandal. The city says the IRT will go ahead, as it has to meet their its 2010 obligations to soccer body Fifa. But the project will be scaled down according to the available funds. Respected Muslim leader and anti-apartheid activist Imam Gassan Solomon died yesterday afternoon after a losing battle with cancer. Solomon had been diagnosed with prostate cancer earlier this year. Chemo and radiation therapy proved unsuccessful, causing the cancer to spread to his bones, which led to the onset of organ failure. Solomon, a recognised political activist was a member of the UDF and also an ANC MP. He was imam at the Claremont Main Road mosque and also a former administrator of the Muslim Judicial Council. His son,Naaser, said the family was coping well given the circumstances. “Fortunately for us we have a big family, lots of brothers, sisters, aunts and uncles, so the support is there. “We were mentally prepared, because he was sick for a while. In a way we are relieved because there is closure now and we believe he is in a better place,” said Nasser. 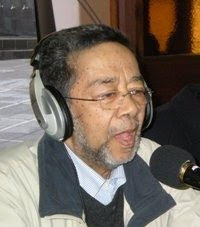 Imam Gassan Solomon will be laid to rest today at the Constantia Cemetery in Spaanschemat Road at midday. Public Service and Administration Minister Richard Baloyi says the luxury vehicles many members of President Jacob Zuma's new Cabinet have acquired over the past six months are tools to do work. Briefing the media at Parliament, he said ministers had to be highly mobile in order to carry out their duties. Baloyi said the Ministerial Handbook which stipulates departments may spend up to 70-percent of the inclusive annual remuneration package of a minister on official vehicles. He says all ministers who had acquired new vehicles had stayed within its guidelines. Minister of Police Nathi Mthethwa has called on Business Against Crime South Africa (BACSA) to improve its reach to as many businesses as possible as part of its partnership with government in the fight against crime. Mthethwa said among the challenges still confronting the police was the need to ensure improved effort in bringing down crime within the small business sector. Mthethwa is quoted as saying in this regard, there are various ongoing projects around the country, whose focus is to look at ways in which to reduce vulnerabilities among the medium and small business environment. The minister was speaking at the BACSA breakfast meeting on Wednesday. The South African Institute of Race Relations has written an open letter to African National Congress secretary general Gwede Mantashe regarding threats to the institute’s president and rector of the University of the Free State Jonathan Jansen. The institute’s Frans Cronjé refers to an incident in which Free State ANC Youth League leader Thebe Meeko reportedly said Jansen should be shot and killed. The institute wants to know whether the ANC national executive committee agrees with the Youth League’s alleged encouragement to murder. Meanwhile Meeko insists that he was misquoted and says he doesn’t want Jansen dead. According to reports he still maintains that, as he put it, "the racism shown by Jansen must be killed". Meeko was referring to Jansen’s decision to pardon the students who had made a racist video in which university workers were humiliated. The Democratic Alliance has laid various charges against Meeko, but he accuses the DA of over-reacting. The security company involved in a racism scandal at Sun City has apologised to Nelson Mandela for playing a racist version of the national anthem in which the former president was insulted with the k-word. Falcon Security chief executive Benjamin Burger was arrested after the offensive song was played at a company function. The company has suspended employee Warren Alberts, claiming he was the person responsible for playing the song. Burger has been released on bail after appearing in court on a charge of crimen injuria. The Democratic Nursing Organisation of South Africa today presented a trophy to struggle hero Albertina Sisulu. Denosa honoured Ma Albertina for her role in the development and transformation of nursing and the health sector in general. The union says she played an integral role in the formation of Denosa and provided stability and tolerance during the volatile times of the nursing struggle. The ceremony took place in Linden, Johannesburg this afternoon. Sisulu celebrated her 91st birthday last week. Residents of Matatiele are voting from today on whether they want to be re-incorporated into KwaZulu-Natal or remain part of the Eastern Cape. The voting will last for four days. Matatiele was incorporated into the Eastern Cape in February 2006. Co-operative Governance Minister Sicelo Shiceka has emphasised that this week's voting is not a referendum, but a process to test the views of the people. A similar voting process was held at Moutse on the Limpopo/Mpumalanga border recently. The prosecution in the corruption trial of former police commissioner Jackie Selebi is opposing a bid to get the judge in the case recused. National Prosecuting Authority spokesperson Mthunzi Mhaga says the state would be filing heads of argument in the South Gauteng High Court today contesting the defence's bid to oust Judge Meyer Joffe. The recusal application will be heard when proceedings resume tomorrow. Media reports that Selebi wants Joffe recused because he suspects the judge is biased against him. A man is out on bail of R1 500 after being charged with crimen injuria for allegedly insulting former president Nelson Mandela during a potjiekos competition at Sun City. North West police say in a statement Benjamin Burger, a shareholder of the security company hosting the competition, allegedly played a remixed version of the national anthem on Saturday. The changed lyrics repeatedly used the k-word to describe Mandela. One of the people attending the competition alerted the hotel manager, who informed the police. Burger will appear in court again in December. Quick action by the City of Cape Towns’s metal theft unit, known as the Copperheads , has saved the city’s Waste Water Treatment plant in Macassar, from closure for as long as three months. Thieves stole mesh covers, checker plates that cover drains, mesh walkways, galvanised guard railings and an incline conveyer cover and lining valued at R30 000 from the plant. The conveyer cover and lining were specifically designed by a company in Johannesburg and replacement could have taken up to three months, leaving the plant dysfunctional for that time. In a statement the city’s Neil Arendse says when the Copperheads were alerted to the theft they immediately questioned all the scrap metal dealers in the vicinity. “One revealed that he had bought metal components from the plant without being aware of their origin,” said Neil Arendse. He says the dealer provided details of the sellers but, before these leads could be followed up, the suspects returned with more items stolen from the plant and were arrested. Finance Minister Pravin Gordhan’s medium term budget policy statement has been broadly welcomed. The African National Congress says it clearly articulates government’s commitment of to key priority areas, as pronounced by the ruling party. The Democratic Alliance says Gordhan has passed his first test, but serious challenges remain. The DA is concerned about the budget deficit which has doubled from February’s estimate, to seven-point-six-percent of gross domestic product. GDP growth itself stands at minus-one-point-nine-percent, much worse than the rest of Africa. The United Democratic Movement has lauded Gordhan for cracking down on wastage in government. Meanwhile the African Christian Democratic Party broadly supports Gordhan’s balanced statement. It says the Minister has provided the much needed assurance that government’s prudent fiscal policy will not be radically altered. Gauteng police say six Zimbabwean nationals were caught with perlemoen valued at three-million-Rands in Walkerville, south of Johannesburg. The police’s Lungelo Dlamini says police discovered the perlemoen, which was about to be smuggled to Zimbabwe after a tip-off from the public. The delicacy was hidden in 336 bags of potatoes. Police are searching for the owner of a truck on which the perlemoen was packed as he is believed to be a member of a smuggling syndicate. The Democratic Alliance has laid a criminal charge of intimidation and a complaint of hate speech with the Equality Court against the Free State African National Congress Youth League chairperson Thebe Meeko. He is reported to have said that University of the Free State vice chancellor Jonathan Jansen should be “shot and killed because he is a racist”. Meeko was speaking during a protest yesterday at the court appearance of UFS students who had made a video humiliating women workers. The DA’s Wilmot James says Meeko’s statement is incitement to cause Jansen physical harm. A forensic investigation into the City of Cape Town’s Integrated Rapid Transit project has found that there is enough evidence to carry out a disciplinary hearing against a staff member. The investigation probed the reasons for the increase in the project’s budget, the underestimate, the process, expenditure and who was responsible for certain decisions. In a statement released by the City, it found no evidence of fraudulent activities, but even so, an unnamed official will face a “disciplinary process driven by an external facilitator”. The IRT is one of the biggest infrastructure development projects ever undertaken in the city. The Western Cape Housing Department is taking the Mandela Park resident in Khayelitsha to court. The department is claiming that the residents have illegally occupied the houses for the past three years. Housing Minister in the Western Cape Bonginkosi Madikizela says the department will not tolerate disruption of the system from unruly people. “We went to court to apply for eviction order because we can not allow the situation where the people can just occupy the houses they do not belong to them,”said the Minister. Madikizela adds that the actually houses beneficiaries are now victims of the invaders. “It is not far for the people who their houses were invaded three years ago,” added Madikizela. Meanwhile, the residents are saying their worst nightmares are once again revealed. Spokesperson for the Mandela Park Backyarders Mabhuti Matyida says the people are being evicted and a lot are being served with eviction letters. “People who do not have the title deeds are being chased away from the houses to the streets,” said Matyida. The matter will be heard in the Cape High Court tomorrow. Finance Minister Pravin Gordhan is expected today to deliver his Medium Term Budget Policy Statement. This is the minister’s first MTBPS delivery since taking over from Trevor Manuel. Economists predict that the National Treasury will announce a wider deficit which will come at around 7 percent from the 3.8 percent deficit documented in the national budget. Earlier this year, South Africa entered its first recession in 17 years while the country’s second quarter Gross Domestic Product, released in August, contracted by 3 percent indicating that the economy was still in a recession. The Democratic Alliance and the Congress of the People have called on Gordhan to show he is firmly in control of macro-economic policy. The two opposition parties say Gordhan has a responsibility to show that "the centre will hold" and that the left will not be allowed to dictate economic policy. One person has been killed and fourteen injured after the taxi they were traveling in overturned on the N7, between Bosmansdam and Plattekloof Roads, in the direction of Malmesbury. “An occupant of the taxi was declared dead on arrival by emergency services. Four people sustained moderate injuries and ten others sustained minor injuries,” said ER24 spokesperson Tristan Wadeley. The patients were taken to various nearby hospitals for further treatment. It was unclear to paramedics on the scene as to what caused the Toyota Hi Ace taxi to overturn, but police are investigating the incident. The DA says if ANC Youth League leader Julius Malema is the kind of leader President Jacob Zuma wishes to promote, then the country have much to be concerned about. In a statement the DA says for this suggests the President’s own leadership is sorely lacking. DA Youth spokesperson Khume Ramulifho says it raises concerns about Zuma’s particular understanding of leadership and the requirements inherent to it. The DA statement comes after Zuma described Malema over the weekend as a good leader worthy of inheriting the ANC. The Christian Democratic Alliance, or CDA, has called on Zuma to retract his remarks. It says he presented the hot headed Malema as a well suited future leader of the ANC. The Federation of Unions of South Africa (FEDUSA) and its Leadership met with the Minister of National Planning, Minister Trevor Manuel yesterday, to discuss the Green Paper on National Planning. The Green Paper that was first introduced in September this year is an important tool by which Government aims to extensively consults with Organised Labour and Business to improve the performance of Government through enhancing coherence and co-ordination in government, managing the performance of the state and communicating better with the public. FEDUSA General Secretary Dennis George, says the meeting with the Minister yesterday was to provide an opportunity for the National Executive Committee members to engage with Government on the progress of the implementation of this Green Paper. Dennis says as a nation we have come a long way since achieving democracy, but we are still confronted with massive challenges. “Unemployment remains very high, poverty and inequality are persistent and opportunities to better education, healthcare, public transport and basic household amenities for many remain skewed,” Dennis said. He says as such FEDUSA is concerned about how the Green Paper plans to incorporate the labour bodies such as the International Labour Organization and Nedlac. He however says they we were pleasantly informed by the Minister that the main purpose of the Green Paper was to primarily consult exclusively with all sectors of society. The sectors include Labour, Business and Government to ensure a more inclusive society that will aim at a more inclusive society where the fruits of development benefit all South Africans, particularly the poor. Bloemfontein’s Regional Court Chief Magistrate has ordered the media to leave the accused and witnesses in the crimen injuria trial of four students alone. Chief Magistrate Mziwonke Hinxa warned in court that he could take legal action against the media. His warning came after State prosecutor Ben Mulutsi told the court journalists had interfered with witnesses in the case. Four cleaners and a man were allegedly humiliated by the students and are State witnesses in the case. The students’ legal representative also commented on the media, saying his clients had already been found guilty in the media and by politicians. The case will resume on February 24 next year. President Jacob Zuma has called on the Pan African Parliament to urgently move to strengthen peace, development, democracy and economic growth in Africa. Speaking at the opening of the Pan African Parliament’s First Ordinary Session in Johannesburg today, Zuma urged the Parliament’s members to demonstrate that they are not merely a forum for debate, but an institution that forms an essential part of the renewal of the continent. He said much had been achieved in the last few years, but Africans remained among the poorest in the world. One person has died and another is injured after a truck and a car collided head-on on the R27 in Melkbosstrand this morning. The car caught alight as a result of the collision with the driver still inside the vehicle. ER24 spokesperson Tristan Wadely says the body of the driver was badly burnt so the gender could not be confirmed at the scene. The truck driver who sustained minor injuries was taken to the Milnerton Medi-Clinic. The State has applied for a postponement in the crimen injuria case of the Reitz Four in Bloemfontein today. The four men face charges for allegedly making black cleaning staff eat food that they urinated. They videotaped the mock initiation ceremony and circulated it around campus. It has been reported that the Prosecution asked the Bloemfontein Regional Court to postpone the matter to consider representations made by the defence which was received earlier this month. Meanwhile members of the ANC and Cosatu staged a picket outside the court. Cape Town Disaster Management says a six year old girl has died after a tree fell on top of her last night in the Strand. The tree was one of several that fell over as a result of stormy weather that hit Cape Town late yesterday. The city has been hit by thunder, lightning and gale force winds. Cape Town Disaster Management’s Wilfred Solomons-Johannes said the girl died at Broadlands in the Strand. Meanwhile, the national sea rescue institute has cautioned boaters not to launch to go to sea, unless it is absolutely necessary. NSRI spokesperson Craig Lambinon, says gale force winds in Cape Town up the East Coast, peaked at 130km/hour last night and continue to exceed 100 km/hour. “The NSRI are urging anyone at sea on any kind of vessel should wear their life-jackets at all times while at sea,” said Lambinon. It’s all systems go for this year’s matric exams despite a paper leak in Mpumalanga. 581 573 full time candidates who are expected to sit for this year’s exam. 197 papers will be written. It is the second year that matriculants will write exams based on the national curriculum statement which does not have higher or standard grade. The first will be Arabic, German, Portuguese and Hebrew, first and second additional languages, as well as Electronic Technology. Basic Education Minister Angie Motshekga says she is confident the matric pass rate will improve this year. Meanwhile, MEC for Education in the Western Cape Donald Grant has expressed his message of luck to all matrics. “To everyone who is writing, you are in our thoughts and prayers, and we will be rooting for you. Over a hundred suspects were arrested during a provincial police operation in the Cape Peninsula which ended early yesterday morning. The police spokesperson Superintendent André Traut says 280 additional police members complemented the existing deployment of weekend staff. “The objective of the operation was to minimize the occurrence of serious and violent crimes in the run-up to the festive season, and to ensure that the people of the Western Cape can experience the dedication of our members to protect and to serve the respective communities,” Traut said. The 86 additional police vehicles were assisted by two helicopters. Random vehicle stop and searches were conducted at various locations. Traut says criminals can expect many similar operations in the run-up to the festive season. Cape Town Metro Police continued their quest to combat crime and lawlessness in the city with ninety suspects arrested for various offences in Metro pole over the weekend. The department continued with its drug fighting initiative "Operation Razor” in Mitchell’s plain Friday morning in Tafelsig and Eastridge. Later in the evening they were joined by the Premier Helen Zille and mayoral committee member for Safety and Security Councillor JP Smith. Deputy Metro Police Chief Yolanda Faro has more during the operation in Mitchell’s Plain, eight houses were searched and six suspects were arrested. “One suspect was arrested for being in possession of a fraudulent drivers licence and another one was arrested for selling liquor without a licence,” Faro said. Faro says whilst the officers were busy at the roadblocks in Mitchell's Plain, they assisted SAPS in apprehending fleeing suspects from the Stellenbosch area with stolen goods. The National Youth Development Agency Board Chairperson Andile Lungisa will embark on countrywide provincial road-shows. The road-shows which will start from 22 October to 12 November 2009 will build towards the establishment of NYDA provincial chapters. The road-shows are scheduled to start from the Eastern Cape on 22 October and end in the Western Cape. In a media statement the agency, which was formed following the merger of the Youth Commission and Umsobomvu Youth Fund will aim to popularise itself during the road-shows. "The road-shows are part of the processes of popularizing the NYDA and outlining its 8 key performance areas,” the statement said. The performance areas include Economic Participation, Education and Skills Development, Effective and Efficient Resources Management, Information Services and Communication, National Youth Service, Policy, Lobby and Advocacy, Research, Monitoring and Evaluation and Social Cohesion. During the road-shows Lungisa will meet with strategic stakeholders in the youth development sector including Premiers, government and municipality officials, traditional leaders and civil society organizations. He will take this time to outline to the different stakeholders the process towards the establishment of the NYDA provincial chapters. In the light of the criticism of decisions related to the Reitz matter, the management of the University of the Free State has decided to re-open consultations and discussions with all stakeholders concerned. This, according to the university’s spokesperson Lacea Loader, is to deliberate on a way forward for the institution and especially for the staff and students concerned. All stakeholders inside and outside the UFS are invited to meet with the university management to table their concerns and to try to find consensus on a way forward. A Tongaat principal and some of his pupils say Afrikaans is the language of the oppressor and has no relevance to Indian children in KwaZulu-Natal. Buffelsdale Secondary principal Vishnu Naidoo sent a letter to the national Department of Education asking it to address the issue of Afrikaans in former Indian schools in the province. Naidoo says 49 pupils failed the subject last year with below 30-percent. He was quoted as being of the opinion that it is crime to force Indian children to continue to learn the language. The Education Department says director general Duncan Hindle is committed to his task and has not resigned from his position. The national broadcaster reported yesterday that Hindle had handed his resignation to Basic Education Minister Angie Motshekga. It was reported that Hindle sent his resignition some weeks ago, as he was unhappy with the structure of the newly created education ministries. But the department has issued a denial. It says Hindle, will continue to serve the new administration. Attempts to reach the Basic education ministry proved unsuccessful. An accident on the Baden Powell Drive at the R102 bridge last night claimed the life of five people. The five people were killed after two vehicles collided. Three people in a Toyota Corolla and two in a Mazda died on the scene. The cause of the accident is still unclear. ER24 spokesperson Tristan Wadeley says three people, in critical condition, were rushed to hospital. Meanwhile nine people were injured in a collision on the same spot earlier yesterday. One patient was in a critical condition, another in a serious condition and seven others were in a moderate condition on the scene. The critical patient was trapped in a vehicle and needed to be extricated by rescue crews. The patients were taken to Stellenbosch Medi-Clinic and Stellenbosch Provincial Hospital for further treatment. It is alleged that two vehicles collided head-on, with a third vehicle crashing due to the initial collision. It is believed that the critical patient later died in hospital. President Jacob Zuma says Bafana Bafana has been underperforming because soccer bosses have made the fundamental mistake of repeatedly changing coaches. Zuma and African National Congress Youth League leader Julius Malema spoke at a fundraising dinner in Johannesburg last night. Those among the guests where athletics World Championship medallists Caster Semenya, Khotso Mokoena and Mbulaeni Mulaudzi were honoured. Zuma says the team needs a change in tactics. Regarding Semenya’s gender testing case, Malema said he would campaign for her to be allowed to compete as a woman. The African National Congress in the Free State and it alliance partners will picket at the Bloemfontein Magistrate's Court during the crimen injuria trial of the Reitz Four on Monday. The four former University of the Free State students have to answer for their actions after making a mock initiation video in which women workers were humiliated. Free State ANC spokesperson Teboho Sikisi says a protest march is being planned to the university on Friday. This follows an announcement by new rector Jonathan Jansen that the university had pardoned the students. Many have since the announcement by the rector expressed their displeasure in the university’s decision. Following cabinet’s weekly meeting, government spokesperson Themba Maseko said Cabinet expressed strong displeasure with Professor Jonathan Jansen’s decision to drop the internal charges that the university had instituted against the students who humiliated the workers at the institution. “The process that led to the dropping of the charges was flawed in that it did not follow the established norm of getting the perpetrators to admit guilt, to apologise to the victims before any charges could be dropped and to initiate a reconciliation process,” Maseko said in a statement. He said cabinet would be the first among those who promote reconciliation in order to take our country forward. “However, reconciliation involves both parties moving towards one another and must include some indication of remorse on the part of the perpetrators,” Maseko added. It has been reported that Jansen stands by his widely criticised decision. President Robert Mugabe is describing the split in Zimbabwe's governing coalition as a "non-event," and says his party will not bow to pressure. Mugabe's comments to state television are his first since Prime Minister Morgan Tsvangirai temporarily withdrew from the coalition. The former opposition leader has complained about a lack of co-operation by Mugabe and his party. Mugabe suggested that Tsvangirai's party was being led by emotions and said the Movement for Democratic Change could not be allowed to have complete executive authority. Meanwhile armed police raided a house belonging to Zimbabwe Prime Minister Morgan Tsvangirai's party last night, claiming they were searching for weapons. Movement for Democratic Change secretary general Tendai Biti told journalists around 50 armed police members beat up the wife and sister of the caretaker before they started digging up the garden ostensibly in search of weapons. Media reports that Biti blames members of President Robert Mugabe's Zanu-PF party and security forces opposed to the country's power-sharing government for the raid. Police commissioner Bheki Cele is furious over the recent arrest of three Gauteng police officers. The police members were arrested for allegedly stealing police R-5 rifles and selling them to criminals. Cele has undertaken to root out such rotten apples in the service. He has also acted to safeguard police weapons after 147 R-5’s went missing in the past year. He says the guns will in future be issued to individuals to ensure accountability. Cele assures the community in a statement that corrupt police members will not be tolerated. African National Congress deputy president Kgalema Motlanthe has today signed a memorandum of understanding with the Sudan People’s Liberation Movement. The aim is to further strengthen the two democratic movements to be more viable, stronger and accountable. An inter-party committee, comprising two representatives from each side, will meet quarterly in the first year of the agreement and half-yearly thereafter. Parliament’s Ad hoc committee on the Green Paper on the National Strategic Planning will host public hearings on the matter. The hearings are scheduled for Monday and Tuesday at parliament where members of the public will be afforded an opportunity to voice their opinions on the Green Paper. The green paper which was released by minister in the presidency responsible for National Planning Commission Trevor Manuel last month, was met with mixed reactions by labour unions. In a media statement NEHAWU said while they acknowledged the Minister’s emphasis on the need for broad consultation with social partners and society at large on the long-term vision due to come out of the planning process undertaken by the NPC, they were still worried on a number of issues. “We believe that it is only proper that the Green Paper should be considered in the impending Alliance summit and that this should take place prior to further processes in parliament and government,” the statement said. Cosatu the umbrella body for most labour unions, during its 10th Congress last month called for a total overhaul of the content of the paper. Secretary General Zwelinzima Vavi was quoted as saying the Green Paper represented a massive turf battle in Cabinet. He said this had sidelined certain ministers and, referring to Manuel, had positioned others at the centre of processes. “Cosatu felt the Green Paper usurped the powers of former trade unionist, now Economic Development Minister, Ebrahim Patel,” Vavi said. The Green Paper is a consultation document setting out a proposed policy position, in this case the position of national government on planning at the centre of government. It also deals with institutional framework for planning and describes the outputs of planning. African National Congress secretary general Gwede Mantashe has warned against "self destruction" in a spat between former education minister Kader Asmal and the MK Military Veterans Association. Mantashe says Asmal is welcome to engage the party of any issue. But he warns the veteran politician that, “self-destruction can bleed you to death." Asmal was criticised by the ANC and the MKVA over comments about what he describes as the “militarising” of the police. Meanwhile Mantashe said the ANC was appalled by the conduct of the South African Democratic Teachers’ Union for threatening strike action, set to disrupt matric examinations in Soweto. The secretary general in a statement deplores what he describes as this week’s irresponsible act by hundreds of Soweto teachers who abandoned lessons to discuss deductions on their salaries. The ANC called on learners and the Soweto community to stand up for their rights. Sadtu has, however, scrapped its planned strike action. The union's regional secretary Ronald Nyathi says the decision follows the announcement by Gauteng education MEC Barbara Creecy that the department had agreed to reverse all salary deductions made in October. The South African Democratic Teachers Union (SADTU) yesterday wished well the 588 000matriculants who begin their final exams on Monday. SADTU says Matric exams mark an end to the twelve years of basic and secondary schooling and a beginning of a new life for learners. The unions the marks obtained are a gateway to a bright future as they give options on the choice of career to follow. Secretary general Mugwena Maluleka says they urge this class to work hard, be disciplined and aim high. “We also urge the learners not to stress but to use these few days to revise the work they have done during the course of the year,” Maluleka said. The Matric Class of 2009 is the second class to write the National Curriculum Statement examination. A committee tasked to review the National Curriculum Statement has come up with recommendations aimed at improving its implementation. “And we are calling upon the government as well to ensure that they increase the security around exam papers, because we do not want the integrity to be questionable at the end of the year,” Maluleke added. Speaking at her office in Pretoria on yesterday, Basic Education minister Angie Motshekga said that with only a few days left before the start of the examinations; this was a crucial and challenging time for Grade 12 learners. While the minister was sure matriculants had been studying hard throughout the year, she appealed to them to use these last few days constructively to ensure they were ready for the exams. All provinces have reported that they are ready and well prepared for the examinations. The department will continue to monitor and support provincial education departments in the final preparations and administration of the examinations. The exams will kick off on Monday with learners sitting for a two-hour paper on German, Portuguese, Hebrew, first and second additional languages as well as an Electronic Technology. According to the department, a total of 581 573 full time candidates are expected to sit for the exams, with an additional 38 595 learners who will be sitting as repeat candidates. Learners will write 197 papers that will be marked by more than 30 000 markers. This means that around 12 million marks will be captured during the entire process, said the department. The Black Sash, the Alliance for Children's Entitlement to Social Security and the Children's Institute at the University of Cape Town have welcomed Cabinet's decision to approve the extension of the Child Support Grant to 17 years. The organisations say it is an important, high-level, political commitment which responds to more than ten years of campaigning by civil society for this vital and effective poverty alleviation measure to be implemented. They urge government to ensure that regulations and systems are in place to effect a smooth transition. Pretoria police and members of the SPCA today removed 44 dogs and 24 cats from a home in Valhalla while their owner begged that her “children” not be taken from her. Community Safety spokesperson Console Tleane says they had informed Maria Phelan and her husband John that keeping so many animals was against health regulations and bylaws. The couple were fined six-thousand-500 rands for five offences including waste management resulting in the "stench" and the many animals which had caused a nuisance. The Education Department and Police are investigating the leak of matric papers following the arrest of three people, in Nelspruit earlier this week. Two learners and a teacher have been found in possession of Mathematics papers 1 and 2, Physical Science papers 1 and 2 and an accounting paper. The three suspects appeared in court in Mpumalanga yesterday and their case has been postponed until the 13th of next month. The Department of Basic Education say necessary steps are being taken to ensure the integrity of matric examinations. The department says backups are being prepared for every scheduled paper as part of its examination management plan. The national senior certificate exams begin on Monday. Measles has claimed a life of a Potchefstroom mother of two teenage daughters. 35 year old Rina van der Merwe is one of the latest victims of one of the biggest outbreaks of measles to have hit the country in recent years. Spokesperson for the National Institute for Communicable Diseases Lucille Blumberg has again appealed to parents to give permission for a third booster vaccination, which pupils were now getting as part of a government campaign. Meanwhile, eight suspected cases of measles have been reported in Johannesburg prison. According to the Gauteng health authorities, one thousand prisoners were vaccinated since Wednesday. Struggle hero Oliver Tambo will be honoured in Zambia tomorrow for his role in bringing about a democratic South Africa. Zambian President Rupiah Banda will honour Tambo at a function at the Lusaka Civic Centre. The honour will be received by Tambo’s family. Zambia will also be celebrating its Independence Day. Delegations from Ekurhuleni and the OR Tambo Municipality will be there to witness the event. The two municipalities will also sign a twinning agreement with the City of Lusaka as part of the 2009 Oliver Tambo Month programme. Police are investigating a case of concealment of birth, after the Athlone Waste Transfer Station alerted them of the body of a one month old baby boy that had been caught in the waste rubbish conveyor. The body was naked and decomposed, and is currently at the Salt River Mortuary. Police spokesperson, Inspector Makapula, says the baby is believed to have been aborted, and brought in with the waste delivered from the trucks. Langa police urge anyone with information who can assist with the identification of the body or information to contact Detective Constable Mahlanza from Langa police at (021) 695 8010. All eyes will be on the South African Football Association today as its executive meets to discuss who will next coach Bafana Bafana. Eight months ahead of the 2010 Fifa World Cup, South Africa is still looking for a head coach to replace Joel Santana. Santana was fired by the SAFA management committee on Monday. Parreire’s imminent to return to coach the ailing team; local coaches are also vying for the position. More than 100 people have been left homeless after a fire gutted 30 shacks in Site 5,Dunoon last night. Distressed families were moved to a community centre in the area. Police spokesperson Captain Frederic Van Wyk says the investigation is still underway to determine the cause of the fire. A man has been arrested for stabbing a school caretaker in Nyanga. It is alleged the school principal tried to speak to the man, the caretaker also intervened to take him out of school premises, an argument occurred, and the suspect stabbed the caretaker on his face. “The 30 year old man was arrested and will appear in court soon on assault with intent to do grievous bodily harm charges,” said police spokesperson Ntomboxolo Sitshitshi. In another incident in Nyanga, police arrested two suspects for possession of stolen goods. “The goods includes six cell phones, 2 remote controls hisense LCD, canon digital camera with photos of well known swimmer, JVC face, Sansui JVC, small packet of heroin, pioneer front loader, etc and a lot of coins,” added Sitshitshi. The 29 and 27 year old men will appear in court on charges of possession of stolen property and drugs. Cabinet has expressed hope that a new Bafana Bafana coach is appointed soon, following the resignation of head coach Joel Santana. In a media briefing, government spokesperson Themba Maseko, said cabinet hopes that soccer authorities will do their best to ensure that a new coach is appointed soon. Santana resigned from the national team on Monday, just eight months before the World Cup. He had come under severe criticism after a string of poor results by the national team. The South African Football Association Vice-President, Mandla Mazibuko, said earlier this week that the association would move with speed to appoint a new coach for Bafana Bafana. SAFA’s national executive is expected to meet on Friday to discuss Santana’s replacement. Cabinet says any decision made on moving Parliament from Cape Town to Gauteng would require extensive consultations with all stakeholders. Briefing the media on yesterday’s Cabinet meeting, government spokesperson Themba Maseko said the task team set up to look into cutting down on wastage in government was also looking at what the various costs were of running a Parliament in Cape Town, while Pretoria remained the seat of government. But government acknowledges that the matter would require a lot of preparatory work. Deputy President Kgalema Motlanthe mentioned a possible single seat for government yesterday as a cost cutting measure. All 360 lights within the Green Point stadium will be switched on around half past seven tonight. This means that Capetonians who will be around the city and those who can be on signal hill will view a spectacular display. Director of Communications for the city Pieter Cronje says the lights will illuminate the pitch. They will be individual focused and aimed at a particular spot on the pitch. Conje went on saying over the next few days more lights will be switched on to test if they are all working. “By Tuesday we will switch all the external lights of the stadium,” said Cronje. The city says people who want to watch tonight’s big switch on, should bear in mind that the outer façade, which softens the glow, is not yet complete. With the fine tuning of the lights the brightness will be reduced and the stadium should give off a pink glow. Cabinet has announced the extension of the Child Support Grant to include needy children up to the age of 18 over the next three years. Following an ordinary Cabinet meeting, government spokesperson Themba Maseko said as from January next year, 16-year-olds would be eligible for the grant. This will benefit approximately two-million children from poor households. The next two age groups will be catered for in the following two years. Maseko says the extension will cost around R7.5 billion over the three years. Caregivers of the beneficiaries will have to ensure that the children stay in school. Mayoral Committee member for Social Development, Councillor Grant Pascoe, has described Metrorail Regional Manager, Steven Nogbeni’s failure to pitch for a meeting scheduled to discuss rail safety as “disappointing and indicative of Metrorail’s attitude towards the safety of commuters”. The meeting was called following the death of Zimkitha Blayi and her six year old daughter last week in Nyanga, after they had illegally crossed the railway. “We’ve been battling for years now to get Metrorail to commit itself and to budget adequately. We were hoping to discuss this at the meeting, but this did not materialize. “Instead, they sent a low ranking official with no decision making authority,” said Councillor Pascoe. He added that the City did have several options that will enable them to tackle Metrorail’s incompetence’s head on. Pascoe mentioned writing to the Rail Safety Regulator to ask for an incident investigation into the death of Blayi and her daughter;and approaching the Minister of Transport to request that he pass regulations in terms of the National Railway Safety Regulator Act of 2002, Section 31(a), to regulate the fencing-off of railway lines so that the public can be protected. “I will ask the City’s transport department to meet with Metrorail officials to investigate ways in which the City and Metrorail can cooperate to reduce the number of fatalities on our railways,” said Pascoe. Following an eviction application the City of Cape Town has brought to the Cape High Court, for more than 300 refugees left from the Blue Waters camp in Straindfointein to be relocated. Director of Communications for the city Pieter Cronje says the city wants the refugees to be relocated because the site has been closed since last October. However, Cronje says the city is not abandoning them. “We have offered them post of alternatives and means of the assistance, including financial assistance for relocation, homes for people who have disabilities or sick and the skills training for those who are interested,” adds Cronje. The United Nations is also reportedly willing to assist those who want to go back to their countries. The city has displaced more than 20 thousand refugees after xenophobic violence. The refugees were placed there after xenophobic violence erupted across the country last year. The matter is expected to be heard again on Monday. The Democratic Alliance says it welcomes the fact that the Standing Committee on Public Accounts has distributed copies of the key material that shows how the Joint Investigation Report into the Arms Deal was altered to absolve senior ANC officials from guilt. DA’s Mark Steele says despite the fact that cast-iron evidence has been available in the public domain for nearly half a decade, showing definitively how the Arms Deal report was whitewashed. “These draft reports were made available via court order, in December 2004, but up until now have never been formally reviewed by a parliamentary committee”. “Handwritten notes appear on many of these documents though their author is unknown, they appear to have been made during a meeting with then senior ANC officials, including former President Mbeki,” said Steele . The Department of Health has reassured parents and guardians that the current measles shot being dispensed at schools as part of the measles vaccination campaign is safe. The department was responding to concerns raised by some parents that the vaccines might be dangerous, or that the same needle might be used more than once. The National Institute for Communicable Diseases has meanwhile confirmed that more than a thousand-100 cases have been identified, with most reported in Gauteng. At least four patients have died. Three Khayelitsha man are appearing in the Bellville Magistrate’s Court today for being in possession of stolen credit cards and fraud charges. Police spokesperson Constable Mthokozisi Gama said the three were arrested yesterday after police searched the house in Thembani and seized the credit cards worth more than R340 000. “We found 17 cloned credit cards, three cell phone, two fake identity documents, a laptop, a skimming device and an encorder,” said Gama. The suspects are also allegedly linked to several incidents of credit cards cloning and fraud syndicates. The City of Cape Town is pleased after it is rated top municipality in terms of service delivery. In a survey conducted by Empowerdex, an economic empowerment rating agency, the city scored 89,5 percent compared against a national average of 59,7 percent. The survey covered 231 local municipalities, 46 district municipalities and six metropolitan municipalities. City spokesperson Kylie Hatton says the city is extremely pleased about the award and takes it as a boost to enhance service delivery. “We take this is a boost of confidence for the city in preparation for the final draw of the Fifa World Cup on December the fourth and the tournament next year,” Hatton said. Hatton says they also see it as a boost to the hard work that the city is doing. “Although we’ve been acknowledged for excellent service delivery to our residents, we also know there is a lot of work that remains ahead for the city,” Hatton concluded. Higher Education and Training Minister Blade Nzimande has called for the suspension of the decision to withdraw the complaint and readmission of the four Reitz students. This follows a decision by the University of Free State vice-chancellor Jonathan Jansen that the institution would withdraw its own complaint against the students and consider readmitting them to continue with their studies. Nzimande says UFS had to convene an urgent meeting of all stakeholders to seek a common and better way forward. The Reserve Bank’s Monetary Policy Committee is expected to start a two day meeting in Pretoria to discuss whether the repo rate should be changed considering the current economic climate. The meeting is expected to be the Reserve Bank Governor Tito Mboweni’s last meeting. Next month Gill Marcus will take over the reigns. Economists predicted that the repo rate would remain unchanged after last month’s meeting decided to keep the rate at 7 percent. The MPC is likely to take into consideration Eskom’s proposed tariff increase of 45 percent every year over the course of the next three years when it makes its decision. Jackie Selebi's legal team will apply for Judge Meyer Joffe to remove himself from the corruption trial of the former national police commissioner and Interpol boss. Defence lawyer Jaap Cilliers, told the judge he had the “unpleasant task” of applying for him to be removed. He did not specify why he is making the request, but court reporters say Cilliers and Joffe have repeatedly quarreled. The South Gauteng High Court is expected to make a ruling on the application next Thursday. Selebi faces two counts of corruption and defeating the ends of justice. The Department of Communications has officially launched an e-Cadre Program which offers Information Communication Technology skills to unemployed youth from rural areas. Communications Minister Siphiwe Nyanda said through the program, thousands of youth will be recruited to provide technical support in respective service deployment areas such as clinics and police stations where they can assist communities to access government services through the use of ICTs. Nyanda said the e-Cadre Program aims to address the shortage of skilled personnel to respond to ICT needs in South Africa. The programme, which is a partnership between the department, the National Youth Service and 15 Further Education and Training colleges, has three phases - formal training, service deployment and an exit strategy. The first phase of the programme was concluded last year with the training of 765 young matriculants in the International Computers Drivers Licence through the 15 FET colleges. In a media statement Nyanda said his department had already spent about R8 million since the programmes was introduced. This amount covered the tuition and assessment fees for the training, life orientation module, stipend and travelling and accommodation fees. The official launch of the e-Cadre Program took place in Rustenburg, North West. Three Khayelitsha men are in police custody on fraud charges. Police spokesperson Constable Mthokozisi Gama says the suspects were arrested in a house in Thembani, Khayelitsha this morning following a tip off from the community. “Police went to the address, searched the house and seized credits cards worth more than R34 000,” says Gama. During the search police have seized 17 cloned credit cards, three cell phones, a laptop, two fake ID documents, a skimming device (used to read information from the credit cards) and an encoder (which is carried information to the cloned credit cards). “The suspects are believed to be link to several incidents of syndicate related matters regarding credit card cloning and fraud,” added Gama. The suspects will appear in Bellville Magistrate’s Court tomorrow on charges of fraud. Congress of the People has called for the immediate resignation of Police minister Nathi Mthethwa. This follows recent reports that Mthethwa splurged in excess of R700 000 on hotel accommodation. His department revealed that he spent over R200 000 of taxpayers money on 5 star accommodation in Cape Town. He further spent R500 000 in Durban. In a statement to the media Cope’s Phillip Dexter says the minister hid behind calls for policy documents to be drafted to guide his department in terms of expenditure. “This was purely to distract from his extravagance and an attempt to seize the moral high ground in a fiasco of his own making,” said Dexter. In the statement Dexter asks, why the people of South Africa must foot the bill for the ANC. “Surely this money should have come from ANC coffers and not from Government funds,” Dexter says. He says this points to a problem that is endemic in the ruling party's mindset, that the ANC and Government are one and the same. “This is simply not the case, in short, he misled the public and took from a pool of money which would have been put to better use on the poorest of South Africans, especially in relation to fighting crime,” Dexter concluded. Dexter says with the South African Police Services already in crisis, both infrastructurally and in the eyes of the public, this would be grounds enough for his resignation. The National Sea Rescue Institute, many coastal management bodies and members of the public were involved in attempting to save two stranded whales along the Western Cape coast yesterday. Mossel Bay station commander Dawie Zwiegelaar says dozens of people were involved in attempting to save an eight metre humpback whale that had beached at Kleinbrak. Despite all the efforts, the animal did not survive. In the other incident, a young killer whale was returned to the water after beaching at Milnerton Beach near Cape Town. However the animal keeps swimming into shallow water. It appears to have an injury to its head. Cape Town Traffic Services targeted offenders who illegally use the BMT lane during peak hour traffic yesterday. A Ghost Squad member stopped a Mazda LDV early yesterday morning for the illegal use of the bus lane. Traffic services spokesperson Kevin Jacobs says the driver of the vehicle was subjected to a sobriety test which included a breathalyzer test. A reading of 1.82 was recorded, which is almost seven times over the legal limit of 0,05grams of alcohol per 100ml of blood. “A 46-year old driver was arrested and a case docket was opened at the Mowbray Police Station,” said Jacobs. 122 bus lane offences,32 unlicensed drivers and 20 unlicensed motor vehicles were among the offences recorded during the three hour operation. The Cape Town Cycle Tour Trust says there are only three-and-a-half-thousand entries left for next year’s Cape Argus Pick n Pay Cycle Tour and only 11 days left to enter. Co-director David Bellairs encourages cyclists from all parts of the country not to wait until the end of the month to enter. Cycle Tour entries are limited to the first 35-thousand paid-for entries and are awarded on first-come-first-served bases. The 2010 Cycle Tour is scheduled to take place on Sunday, 1the 14th of March. President Jacob Zuma has concluded the meeting today in Khayelitsha with mayors and municipality managers with the agreement that there is need to be a national effort to improve the performance of local government. Addressing the media presidential spokesperson Themba Maseko said this effort should improve involve local, provincial and national government working together with communities and social government. The meeting was conveyed to look at how all three sphere of government could work together to improve the functionality and the effectiveness of municipality. “We recognise the importance of local government as a sphere that is closet to our people,” added Maseko. Maseko said the meeting recognised the achievements of local municipalities since the advance of democratic local government. City of Cape Town Mayoral committee member on Social development councillor Grant Pascoe is expected to meet Metrorail Western Cape Regional authorities to discuss unfenced rail way lines around the city. The meeting follows the recent death of a 22 year old female and her 6 year old daughter in Nyanga. In a statement Grant says the meeting which is expected to be held tomorrow with the Regional Manager Steven Nogbeni will afford Metrorail and opportunity to give them an explanation about the situation. Metrorail has a duty to protect the public, but fencing that should prevent residents from gaining access to railway lines is in a shocking state of disrepair throughout the Metropole,” said Cllr Pascoe. Nomveliso Blayi and her daughter Zimkita died after being hit by a train at an illegal railway crossing in Nyanga last Thursday. Close to 100 people die every year on Cape Town’s railways. In 2007, the last year for which the Medical Research Council’s statistics are available, 80 people suffered fatal accidents. A 19 year old man has become the latest victim in a spate of recent shootings in Kew Town, Athlone. The man was wounded in the shoulder after a shooting incident in Block 26 in the area last night. Police spokesperson, Inspector Ian Bennet, says two shots were fired at the man . “A 20 year old male was arrested on the scene and is being held at Athlone SAPS for further questioning,” said Bennet. Earlier this month, Magadien Stellenboom and Raeez Mohammed, both 17 years old, were both killed after four armed men opened fire while the two were outside a block of flats. President Jacob Zuma says government will NOT tolerate the destruction of property, the violence and the intimidation that often accompanies protests. This is in light with the violent service delivery protests that have marred the country recent months. Zuma said there is no cause in a democratic and free society, however legitimate, that justifies the wanton destruction of property and violence that the country have witnessed. He said this during his opening address during his meeting with local government officials at Khayelitsha, Cape Town, earlier on. Zuma said South Africa has a proud history of protest against wrong-doing and injustice. “There is no institution or individual that our people cannot stand up to and challenge if they think an injustice has been committed, this is who we are, this is our heritage, it is what makes South Africa the vibrant democracy it is today, and will continue to be in the future,” Zuma set. In a media statement government spokesperson Themba Maseko says the meeting highlights government's determination to improve local government capacity. After the meeting Zuma is expected to address members of the media at the noon today. University of the Free State rector Jonathan Jansen has stressed that charges against four UFS students over a videotaped racist incident which sparked a national outcry have not been withdrawn. He says in a statement the university has withdrawn its own complaint again the students, but the criminal charges by the Directorate of Special Prosecutions in the province, and the human rights charges by the Human Rights Commission are still standing. Jansen’s decision to invite the students back to continue their studies and to re-open Reitz as a model of social justice and racial reconciliation has drawn criticism from several quarters. But yesterday, Archbishop Emeritus Desmond Tutu commended him for his stance. Tutu described the students’ actions in humiliating black workers in a mock initiation video as disgusting. He added, however, that Jansen had demonstrated reconciliation for forgiving the students and allowing them to return to complete their studies. Police are requesting the assistance of the public in identifying a suspect wanted for the murder of 20 year old Lunga Roxo. Roxo’s body was discovered in Merlin Road, Phumlani Village, Lotus River. The deceased was stabbed in his chest by the suspect, after an argument ensued involving a woman. The suspect, Mzonke Laman Maqabandile, lives in Ntoyani Crescent, Philippi East. Maqabandile resides in and is known to frequent the areas of Kraaifontein and Lower Cross Roads. Anybody with information about the incident or the whereabouts of Mr Maqbandile can contact Detective Constable Adiel Noordien on (021) 700 3910 or 072 601 6013. Rea Vaya Bus Rapid Transit (BRT) system users have called on other commuters to leave their cars at home and “get on the bus” on Car-Free Day today. Sibusiso Mfumbotha, a regular user of the Bus Rapid Transit (BRT) system from Orlando East, said the BRT system was “safe, quicker and much cheaper than using your own transport”. Car-Free Day is marked on 20 October and is one of the highlights of Transport Month. It encourages commuters to use public transport in a bid to reduce traffic congestion and air pollution. In Johannesburg, Transport Month could not have come at a better time, with the city’s Rea Vaya BRT system in full swing. To emphasise the importance of Car-Free Day, the city and its provincial partner, the Department of Roads and Transport, have arranged several events, including a concert at the Johannesburg Stadium. At the event the Gauteng MEC for Roads and Transport, Bheki Nkosi will highlight the benefits of using public transport. Four Gugulethu men will appear in the Athlone Magistrate’s court tomorrow for armed robbery, robbery, pointing of fire arm as well as possession of illegal fire arm. Police’s spokesperson Captain Elliot Sinyangana says two of the suspects were arrested on Monday night for the attack and robbery of the traffic officer who was stabbed seven times and robbed her service pistol last week. Police investigation still continues to find whether the two have committed other crimes. “I cannot divulge too much information in this investigation but the investigation is still continuing in order to establish any other linkages within and outside Gugulethu” adds Sinyangana. The duo was found between NY 6 and NY 40 in Gugulethu. Police investigation lead to the arrest of other two males aged 20 and 30 who were found in possession of illegal fire arms and ammunition. Sinyangana says these two were also linked to an armed robbery case that happened last month at NY 6. Police suspect no foul play on the death of popular photographer Garth Stead, but possible suicide. 37 year old Stead was found hanging in his Woodstock home yesterday with rope tied around his neck. Police spokesperson Sergeant Hilton Malila says Stead died of injuries caused by the rope. Police were called by a friend to the scene and on arrival, found the decesed hanging in his living room. "At this stage we suspect suicide, but an inquest docket is open for investigtion," adds Malila. Stead had been working as a photo editor at a Cape Town media house. The beleaguered Bafana Bafana coach Joel Santana has resigned. Under his leadership, the national team lost eight of their nine matches. The executive of the South African Football Federation met in Johannesburg today, but it is not yet clear whether Santana tendered his resignation at the meeting. who had recommended Santana to take his place may be persuaded to return. The final countdown has begun with only a week left before this year’s matriculants begin writing their final exams. More than half a million registered candidates will sit for the finals which begin on the 26th of this month. Most provincial education departments say they are more than prepared for the exams. Minister for Basic Education, Angie Motshekga last month told the National Assembly that the department was ready and confident that the 2009 National Senior Certificate (NSC) examination will be successfully administered. She said that clear plans have been put in place to ensure that all candidates received their results timeously. This is in light of the trauma the class of 2008 had, which saw most of them receiving their results this year, while some got incomplete results. This year’s matriculants will be the second lot to write exams based on the National Curriculum Statement. The results of the exams will be released on the 7th of January next year. A 29 year old man is due to appear in the Bellville Magistrate’s court tomorrow for drug dealing. Police’s spokesperson Captain Joe Wilson says the suspect from Delft was arrested on Saturday night after police members on patrol noticed a suspicious vehicle with one occupant. The driver of the Blue Toyota Hilux Bakkie was driving recklessly, which caught the attention of the police officers. They manage to pull the vehicle off the road. Police searched the vehicle and the suspect who was hidden under his clothes. They seized a 1/2 kilogram of tik, with an estimated street value of about R12 thousand as well as a large undisclosed amount of cash. Manenberg police were alerted of a shooting incident in Ondine Court, that left a 23 year old woman and her 8 month old baby wounded at the weekend. It is alleged that an argument ensued, between the victim, and her ex boyfriend. The victim was holding her eight month old baby when the suspect drew fire, fatally wounding the woman. Winifred Williams sustained wounds in the chest and the baby, in his right upper leg. The two were taken to Grootte Schuur and Red Cross hospitals where Williams died later. Police later arrested the 28 year old male and recovered the firearm used with ammunition; that was reported as stolen in Nyanga. The suspect will appear in the Athlone Magistrate’s court tomorrow and faces charges of murder, attempted murder, and illegal possession of a firearm and ammunition. People Against Suffering, Suppression, Oppression and Poverty devoted to fighting for the rights of refugees in the city, says the capacity of the new refugee centre in Maitland will be tested. The newly opened centre started business last week after Home Affairs was forced to relocate from Nyanga by a court order. The new site is only temporary with permanent offices to be set up in the near future. PASSOP says the while the move from Nyanga to Maitland is a big improvement, with the current premises having much more facilities it still remains under staffed. “The number of refugee reception offices that are there are inadequate and the department will have to train and increase the staffing at the centre,” said Braam Hanekom Coordinator of the group. Hanekom says while the department indicated it will address this, it remains worrying to them as there are no indications of that nature. He said amongst other issues corruption, back logs on the system and security issues will have to be addressed. Hanekom added that as most of the officials moved with the centre the next three weeks will have to be tested adequately. Justice Minister Jeff Radebe has reportedly refused to reveal whether Schabir Shaik has applied for a presidential pardon. President Jacob Zuma’s former financial adviser was sentenced to 15 years in jail for corruption. But he only served 28 months of his sentence before being released on medical parole in March. According to reports that the Democratic Alliance’s suspicions were aroused when Radebe refused to answer a question in Parliament on whether Shaik had applied for a presidential pardon. Radebe said only the presidency had the constitutional power to grant a pardon. Cape Town police are searching for two women who posed as clients and stole jewellery worth more than R700 000 at an up-market V&A Waterfront store this weekend. The woman entered the store wanting to buy rings but instead stole two valuable diamond rings. Police are still viewing surveillance footage to try and identify the thieves who are believed to be in their late 40s. Khayelitsha police are investigating the cause of the fire that killed three people, including two children after their shack in BM section burnt down yesterday. Police spokesperson Constable Mthokozisi Gama says 34 year old Ntombizonke Nonzwane and her daughters, five year old Anako and 13 year old Yonela were burnt beyond recognition when their shack went on flames in the early hours of yesterday. Two other shacks were also gutted by the fire. Anyone with the information regarding the incident is asked to contact the investigative officer, Constable Sinethemba Jamjam at 021 360 2389. The Democratic Alliance has called on the Department of Water and Environmental Affairs to adopt the zero-tolerance approach promised by the Minister to stop the illegal, ongoing discharge of sewage into our rivers. The time for negotiation with offending municipalities has passed. Meaningful action is now required. If this involves legal action, and fines or jail terms for offenders, then so be it. “We can no longer tolerate the ravaging of our precious water resources”. “The DA recently questioned how many directives have been issued by the Department, what the details of each directive were, and what the response to each has been said Annette Lovemore. Our own investigations and many media reports have revealed many similar scenarios that have not resulted in the issuing of directives added Lovemore. Cope has reacted to the attack by Cosatu on the party’s president Mosiua Lekota and Alec Erwin for being responsible for the proposed transaction to purchase the Airbus transport aeroplanes. Cope says in a statement the suggestion that these two individuals are responsible for the proposed transaction is just plain silly. Cope says Cosatu should realize that the Cabinet is collectively responsibility for such decisions. COPE also supports the call for a review of the proposed procurement decision, not because there is any evidence of wrongdoing, but because the reported price escalation needs to be explained. A newspaper article in Harare reports President Robert Mugabe is too busy to address the crisis in his unity government. Political observers say the comments in the state-run newspaper reflect the contemptuous indifference with which Mugabe's party has reacted to Prime Minister Morgan Tsvangirai's announcement that he was temporarily withdrawing from the coalition. Tsvangirai says the prosecution of one of his top aides led to his decision. Mugabe’s spokesperson George Charamba said in a media that Mugabe was spending time arranging scholarships for students and welcoming soccer players in Zimbabwe for a regional tournament. He says Mugabe will address Tsvangirai's move at the right time. By 2012 South Africa could have the world's highest electricity tariffs. Only a couple of years ago the country was attracting foreign investment with assurances that its electricity was the cheapest. According to electricity could become hugely expensive if Eskom's application to increase the tariff by 45-percent a year over the next three years is approved. Should the plan get the go-ahead, in 2010 South Africans will be paying more for electricity than consumers in countries like the USA and South Korea are paying. Economist says locally, residential consumers will bear the brunt. The Democratic Alliance has congratulated the new rector of the University of the Free State Jonathan Jansen for not allowing political authorities to push him around. Spokesperson Wilmot James says Jansen embraces the values the DA believes are good for higher education and students. In his inaugural address on Friday Jansen committed the institution to inviting the infamous Reitz students to complete their studies and withdraw university charges against them. James says if the University withdrew the charges it’s their own decision and if it’s a gesture it’s a very commendable gesture. Pretoria police say foul play has been ruled out in the shootings of a police captain and her two sons at their home in Centurion. Captain Annake van Niekerk gunned down her three-month-old baby, shot her 12-year-old son in the head and then turned the gun on herself yesterday afternoon. A spokesperson says forensic tests prove that Van Niekerk used the firearm. Her 12-year-old son died at the Unitas hospital shortly after her ex-husband found the bodies. The motive for the murders is not yet known. The ANC has slammed the rector of the University of the Free State for dropping disciplinary charges against four white students whose video humiliating black workers sparked a race outcry last year. Rector Jonathan Jansen, who is the first black rector at the university, said UFS withdrew the charges in a gesture of racial reconciliation and the need for healing. Christmas cheer in South African shops will be somewhat dampened this year with the presence of more policemen and security officials as the fight against robbers goes on. Police say they expect robbers to be more active at this time of the year. However, the warning is clear – criminals can expect no mercy at all should they threaten the safety of customers. The Consumer Goods council says on average, 25 centres are robbed countrywide each month, with Gauteng hardest hit.